Governor McCrory signed a proclamation in early June officially declaring September as Alcohol and Drug Addiction Recovery Month. We are thrilled that the Governor has become a strong advocate for persons suffering from drug and alcohol disease in this state. 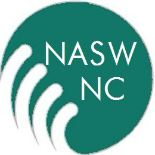 Information and resources on recovery in NC. Recovery NC has planned events around the state to celebrate the month. Join an event near you or learn more about what they are doing to combat addictive diseases in the state. Did you know? Recovery Month is not just celebrated in NC! National efforts are being made to help with recovery. The Substance Abuse and Mental Health Services Administration‘s (SAMHSA) theme for the month has been to join the voices for recovery together on pathways to wellness. SAMHSA has prepared toolkits to help those seeking recovery and for others seeking to help loved ones recover. Resources and information are also available in Spanish. Recovery is supported through relationships and social networks. What are you doing to help with recovery efforts in the state? This entry was posted on September 19, 2013 by naswnc in Advocacy and tagged Addiction, Alcohol, Disease, Drugs, LCAS, LCSW, Recovery Month, Recovery NC, SAMHSA, social workers, Substance Abuse, Substance Use.